Andy Shay of Sobey's Ontario. 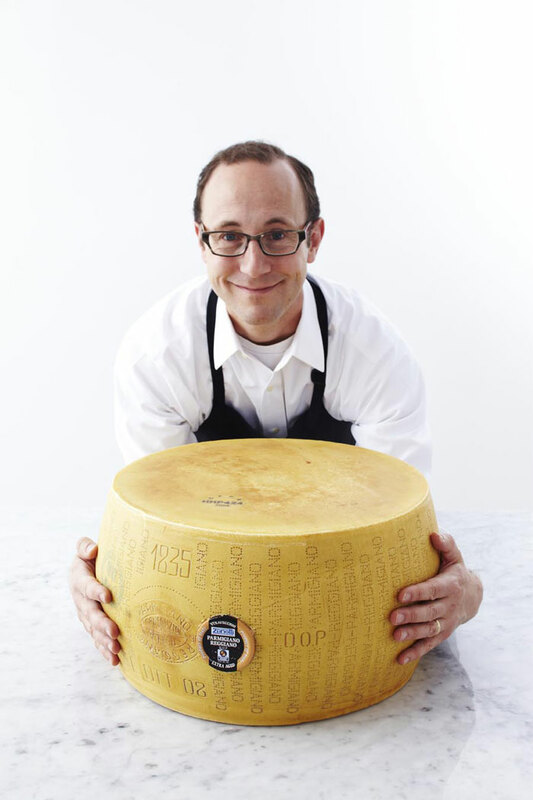 Market Trends in Cheese: A View from the Trenches will be the topic of a special presentation by Andy Shay, Cheese Product Manager at Sobey’s Ontario, at the first annual general meeting of the Canadian Cheese Society next week. The meeting on Wednesday, November 16, starts at one o’clock at the Centre for Social Innovation, 720 Bathurst Street, Toronto. It is open to Society members and those interested in getting involved in the organization dedicated to growing the artisan/farmstead/specialty cheese sector in Canada. For information, email the Society’s office. The transformation of the Ontario Cheese Society into a Canadian organization to represent and promote artisan, farmstead and specialty cheesemakers coast to coast is under way—not without its challenges. For more information, visit the Ontario Cheese Society website which is being reconfigured to reflect the new scope of the organization. The Canadian Cheese Society’s first national cheese conference and market is scheduled for March 29, 2012, at Hart House, Toronto. Petra Kassun-Mutch, founder of Fifth Town Artisan Cheese, serves as chair of the Society. Board members are Elisabeth Bzikot of Best Baa Dairy, Don Pendlebury of Pine Grove Cheese, Amarjit Singh of Local Dairy, Robert Santen of Glen Echo Fine Foods, Georgs Kolesnikovs of The Great Canadian Cheese Festival, Wendy Furtenbacher, and Suzanne Caskie. I’m 24 hours late for Video Wednesday but delighted, nevertheless, to introduce you to Curdy Girl aka Wendy Furtenbacher aka The Girl Who Really Loves Her Cheese. She is Canada’s newest cheese blogger and a hoot. Play the video clip and you’ll see what I mean. Like many people, I grew up with Kraft singles thinking that was good stuff. At least, it was fun to eat, all individually wrapped, but given that I’m from Québec, my first recollection of natural cheese is cheese curds. Nobody does squeaky cheese like the Québecois cheesemakers—squeaky, fresh, salty and available at every corner store by the cash register. I can safely say that my palate has expanded quite a bit. Blues, Alpine cheeses, washed rinds, aged cheddars (clothbound in particular) are usually found in my fridge, along with milder fresh cheeses like chevres and buffalo mozzarella. I am always open to trying new cheeses. Sheep-milk cheese is a particular favourite. Typically, I shop for my cheeses in farmers’ markets and specialty cheese shops. I have the most fun when I buy directly from the cheesemaker or highly knowledgeable cheesemongers who are passionate about their cheeses. I like a little education with my purchase. As Enthusiast Director on the Board of the Canadian Cheese Society, I head up communication vehicles such as the monthly Cheese Slice News, and edit the Canadian Cheese Society Newsletter. I am also a member in good standing of La Société des fromages du Québec and the American Cheese Society. Cheese-head-in-chief at CheeseLover.ca, Georgs Kolesnikovs is busier than heck these days with planning for The Great Canadian Cheese Festival on the first weekend in June.